Got Walls... But isn't there more to scenery? The first impression the audience has of your show is usually its first glimpse of the stage-set. You've heard the gasp as the curtain opens on a fantastic Broadway show, haven't you? 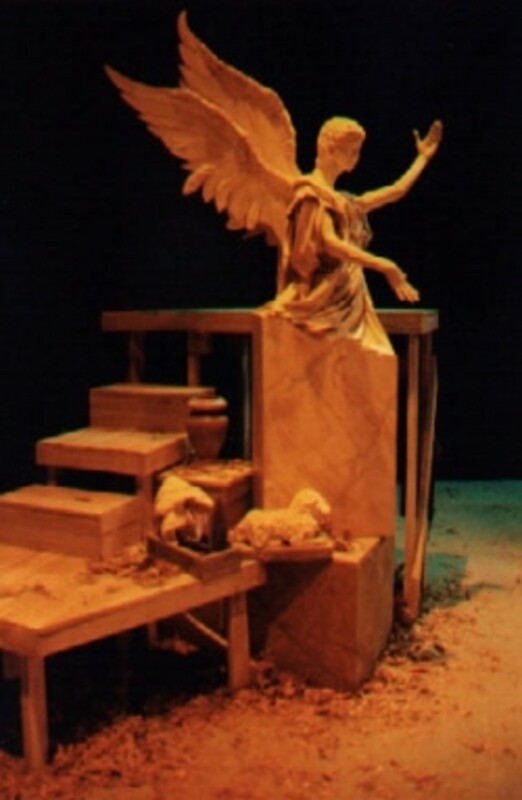 Great scenic design can delight us! A polished, professional set promises a quality show but - let's be frank - an amateurish set? Not so much. So your theater company tries its best: everyone works crazy hard, gets paint in their hair, spends too much money, and yet, maybe, the result looks ordinary. Too many sets end up dull - generic flats assembled in a generic sort of way - not quite the showcase your show deserves. The first step - so obvious we won't even count it- is to find the best designer. This "best" designer is probably not a committee: sets tend to turn out better when there is a single artistic point of view, and a build runs smoother with a single decision-maker. This "best" designer may not be the busy director either. Look for someone with energy, interest, and at least some latent talent. Let's suppose, Dear Reader, you are the designer. (You ARE reading this.) How can you improve your set designs? First Interruption - Theater Research Books - Where better to start learning? Okay, this IS an interruption, but a useful one. It's impossible to find everything you need online (even here!) so a few trusty ol' "tree" books are good research sources. These are some of my favorites. Don't forget to go see as much of other people's live theater as you can. See how the Broadway tour does it. And the local civic theater. Study films and TV. Look at museum "period" rooms. The world is your stage design workshop! This is a good basic hands-on explanation of set building, though many theaters will do things a bit differently. Just getting the vocabulary is worthwhile! I haven't gotten to read this one yet, but it sounds like a promising textbook. No doubt I'll be buying it. A great compilation of some of the best American set designers' work, with fascinating chat. Look also for the sequel, "American Set Design II" (by a different author). THE BEST textbook on the subject. A little older now, but still very useful. Great interviews with designers. There is a sequel "Designing and Drawing for the Theatre" which is newer and has more interviews. READ THIS! Scenic Poll - What's your version of reality? How do you feel about theater sets: love 'em? hate 'em? Can you not wait to build one! Or do your dread all that work? Why bother with sets at all? Is a set always needed? Sure! The bigger the better. Nah - let's just have a chair. A chair and a pool of light. Even NO set is still a set. I need a teeny-budget set. Can a cheap set be a good set? You need imagination and know-how. We'll slap up our usual flats. I give up - can it? What types of sets are there? Huh? Oh! You mean like a room or like sorta curtains and drops. --- A farce in a 1880's New York City tenement. Each show is a play requiring a single permanent or "unit" set - a single room, say a living room. (It so often is!) Now, there are other good choices possible, but, since the plays are realistic, we decide to build "box" sets with more or less realistic walls, three or more doors (farce likes lots of entries and exits), and that window mentioned in each script. 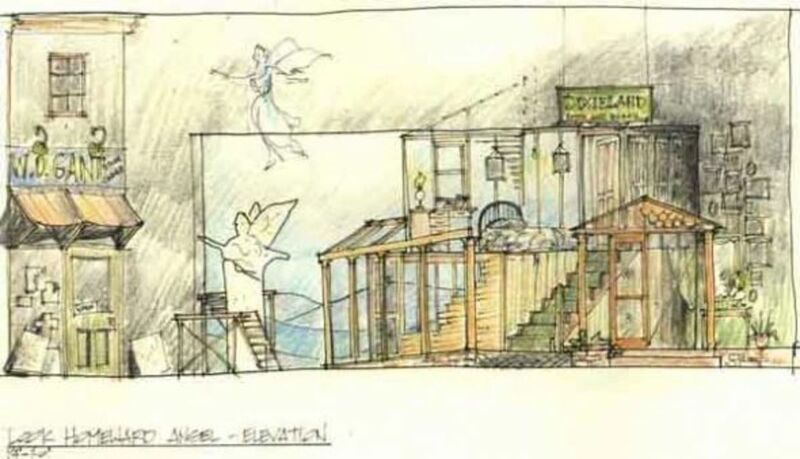 We'll suppose that these shows are being produced by a community theater group with modest budgets (but many talents) and in a conventional proscenium theater space like the one sketched here. "Keep It Simple Stupid" or K.I.S.S. This principle holds for the whole design of the show: choose to do less rather than more; choose to do one thing well rather than half a dozen things poorly; choose simple over complicated. "Simple" does not necessarily mean "plain-looking." In fact, a minimalist design can be tough since when there is less on stage, what IS there must be perfect. No, "simple" means straightforward, with fewer elements or moving parts. Simple is well thought-through, so each piece is worth the effort to create it. Bang for buck. Stylistically, K.I.S.S. will encourage you to design, for instance, one big, well-detailed window rather than three or four slapped together with cheaper trim. It will suggest swagging that window with one extravagantly full curtain of inexpensive - but handsome - fabric, rather than several fussy ones of expensive stuff. By spending less on fabric, you can afford rich tassels as a tie-back (you only need one!). The final look will be bolder, richer, and more effective. More theatrical. Use less furniture too. A set gets more impact from fewer, better-chosen objects or from a MASS of a single thing. So let's give our Country House a wall of books, rather than a few scattered ones. (A Country House Library is traditional for mysteries and as Set Designer you can have fun with that.) And we'll use only a few pieces of furniture, but make them big and as nice as possible. Likewise, a few important pieces of set dressing have more impact than random knick-knacks. So in our Country House let's place a single big wooden bowl of apples (apples are in the script), that family portrait important to the plot, and a deer's head the main character bagged as a kid... Think through who owns the room and how they would decorate it; have a reason and a back-story for every item. "Simple" means more than crisp design, it also means providing clear directions to the builders, both in drawings or models and verbally. Knowing what you want and being clear and decisive simplifies everything. "Simple" saves time, money, sanity, strengthens your design, and guarantees that what you DO attempt will be better done. In keeping with the K.I.S.S. 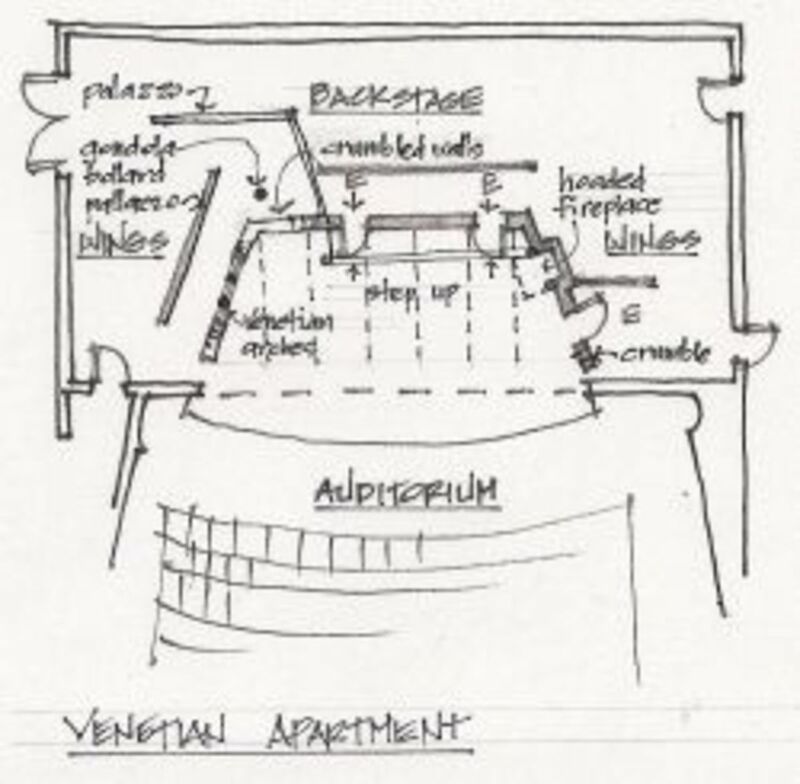 spirit, let's start the basic design of all three of our sets - Country House, Venetian Apartment, and Tenement - with the same plan, sketched here. 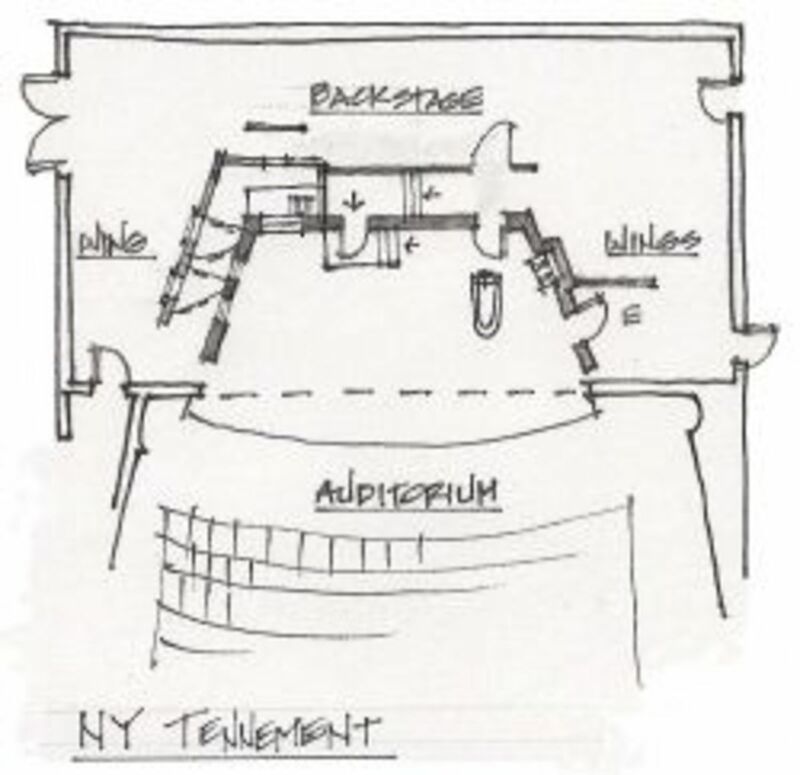 You'll notice that though the back wall upstage (US) is parallel to the proscenium, the side walls go upstage at a narrowing angle, so that the audience can see everything. Sight-lines! 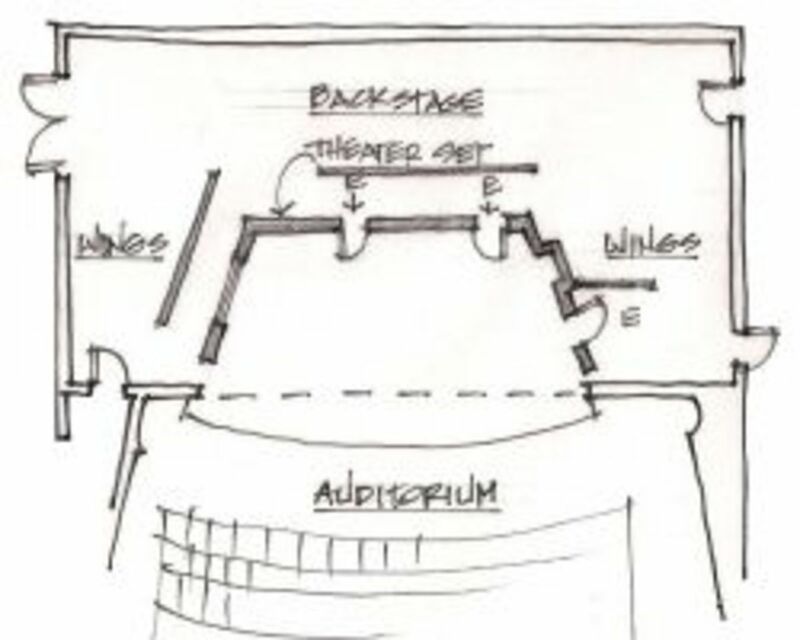 On the left (stage right or SR, just to confuse us) is a big window, upstage are two doors, and at stage left or SL (our right) is another door and a nook which may become a fireplace. Behind every opening is a flat to stop the audience's view. I recently attended a Very Cool master class in NYC where Broadway scenic and lighting designers, producers, scenic artists etc. spoke about working on the Great White Way. 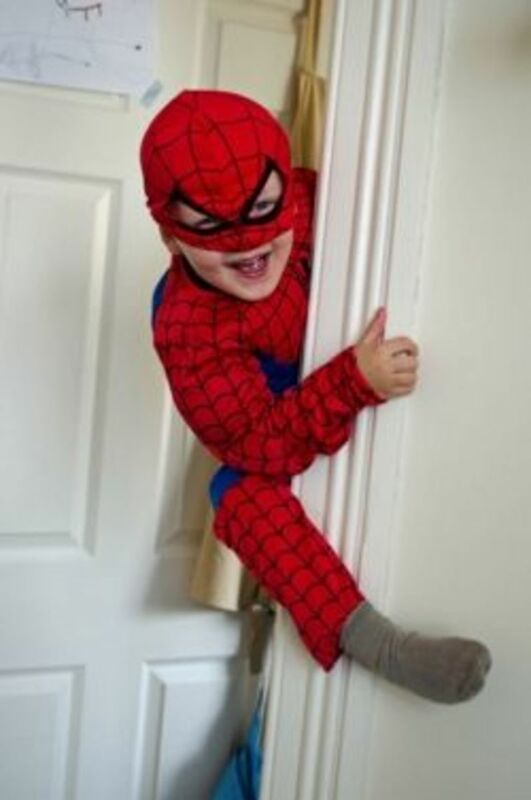 In any such discussion of, say, Spiderman "simplicity" is not gonna be a big topic! But after listening to the saga of Spiderman, simplicity sounded... kinda nice. The complexities of a big ol' Broadway show sound exciting and totally exhausting to me. So, unless you have the same budget of money and time (and patience) and as talented a team of wizard builders available as to a Broadway designer, I'd recommend aiming for something just a wee bit simpler in your designs. But that's okay. 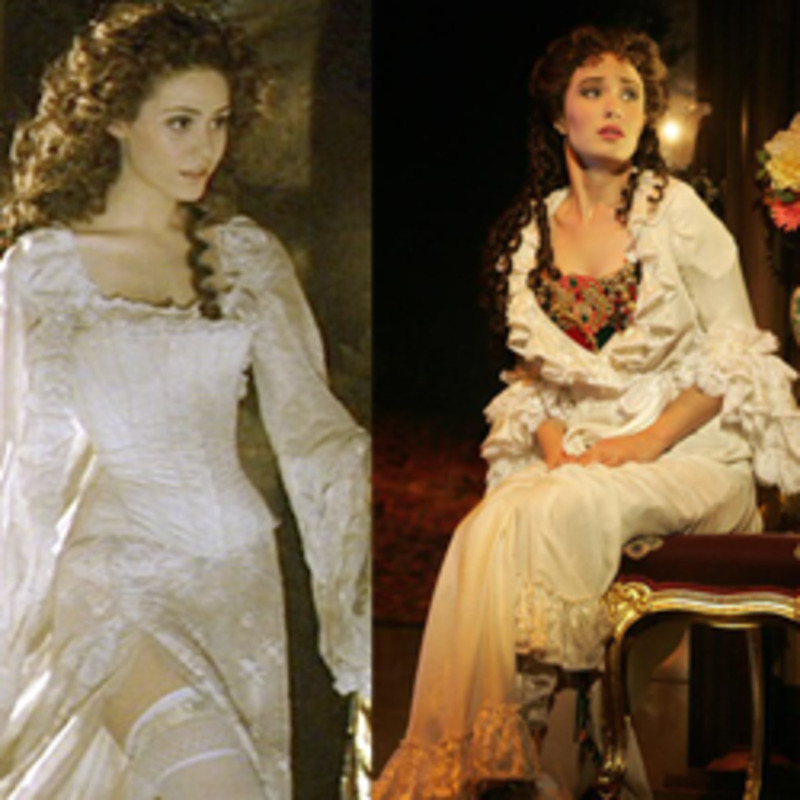 For instance, I know of a very successful High School production of Phantom that didn't even need the chandelier. Even one of the Broadway designers was advocating "less" instead of "more" scenery to her clients, saying that designs get better when they get simpler. It's easy to say, "Keep It Simple, Silly Sally," but it's hard to do. Some shows are monsters! Demanding too much, needing special attention every minute, and having wild mood swings... DIVA shows. But this show is complicated! It's got a gadjillion different settings. Do I really need a new set for each one? How important is this dramatic moment? Maybe not. Let's just have a pool of light for that solo. Let's make scenic units do double duty - how about wagons or revolves? I bet a unit set would work! Lazy! Every moment is equally important and deserves equal treatment. I've got to keep it simple or go nuts! How? Don't you love clever unit sets? Just think through the changes - it can be fun and easy. Yeah, right. Santa will bring me a design! I insist on a full set for every location - deal with it. How do I know when to simplify and when to go all out? All out! All the time! I don't want to look lazy. What resources do I have anyway? It's all balance and judgement - isn't it. Artistic decisions. I hate that. I just let the director decide. Use stock flats and platforms - it's faster and cheaper. Or build new flats to standard plywood size (4' x 8') with 1x4s not 2x4s. That also saves money and it makes scenery easier to handle. Instead of taping and painting wall flats (especially if really beat-up or lumpy), try stapling wide fabric over them. 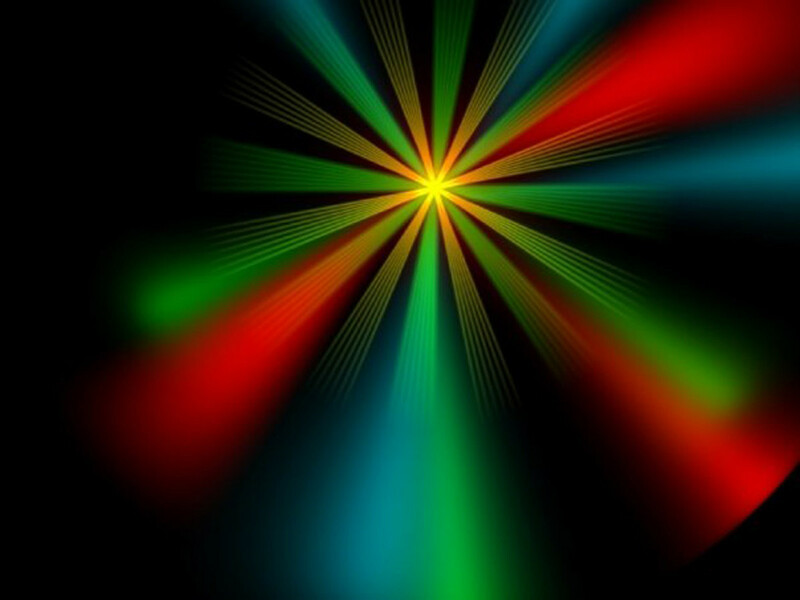 Instant wallpaper! Saves a ton of time and effort. A pattern with the right colors will help coordinate all that mismatched furniture on your set. Use pre-hung doors, either from the theater's stock or from the local home center. Saves more time - and the doors will swing right first time. A brief video on community theater sets. 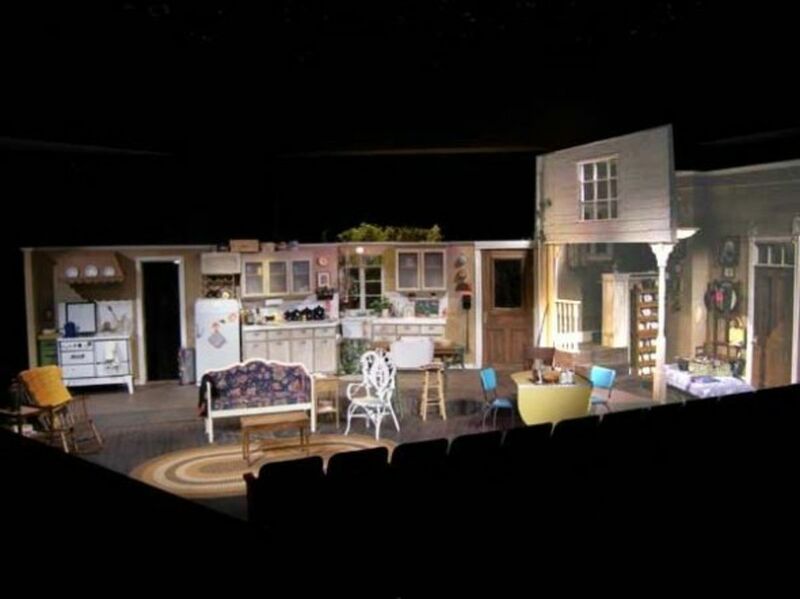 A very good explanation of community theater set design, building, and set dressing. Nice list of resources and quotes on creativity. Primitive graphics but great explanations of the natures of the different stages: proscenium, thrust, and arena. All kinds of theater links. Questions and answers and discussion of problems. A terrific resource to both on-line and book information sources. 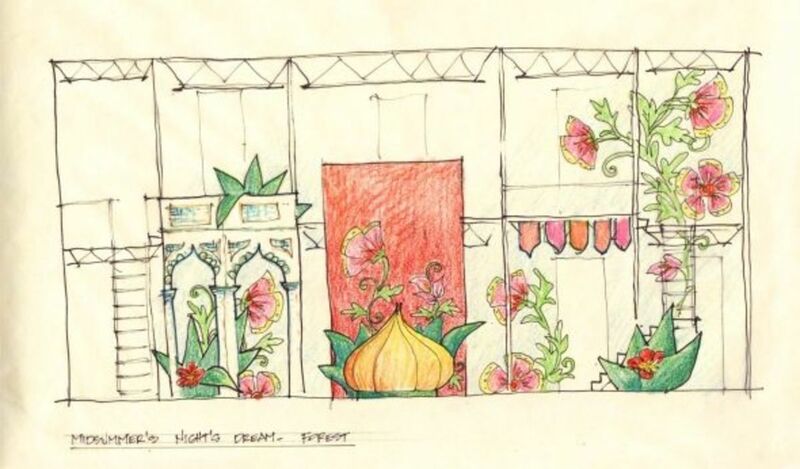 An interview with theater set designer Clare Floyd DeVries about designing WaterTower Theater's show, "The Sugar Bean Sisters"
Like it says - ideas for theatrical gifts. Artistic "truth", more than anything else, raises a set from being mere background to part of the story-telling - sometimes even becoming a character. As you read the script, look for scenic ways to help the drama. Sets show location and time period, but also hint at subtext. Always think about the set's "owner." A script might call for a Victorian study, but Henry Higgin's study ought to look different from Sherlock Holmes's, and look very different from the White Rabbit's. What would differ in the architecture? What furniture or set dressing might change? GENERIC IS THE ENEMY. Every set should be a very particular place, true to the nature of its owner and to the play. Say two scripts each call for "a city apartment." In reading it, you discover that the Venetian play is really about loneliness: perhaps you should set it in a too-empty apartment with high, high ceilings. But you put the pressure-cooker of a family farce into a cramped tenement with low ceilings. Furniture would be spare in the lonely apartment, crowded and clashing in design for the pressure-cooker. The truth of a set can be historical, biographical, or psychological. Do research! Don't just look at earlier productions; study the architecture, interior design, and furniture of the play's period and of about twenty years before. (Look around your own living room: was everything bought at once - all new - last week when the building was finished? Of course not.) Find out historic facts and be especially aware of period proportions: Victorian windows tend to be high and narrow, while a bedroom window in a 1950s ranch house might be a short, long one, high in the wall. At some periods furniture is upright and stiff, at others, low and curved. Even colors come in and out of fashion. Discover your play's reality. Maybe the lonely room should be an icy, faded blue, the crowded one a dirty orange-red? What does the play require emotionally? And how can you translate that into visuals? Design the Venetian windows as gothic arches looking across a narrow canal to damp, decaying brick walls. Imagine the quiet slap of water and flickering light reflected onto the high, beamed ceiling. What could be more melancholy? Make your comedic tenement look out on dirty brick painted with huge ads (maybe we see only a few letters that spell something odd). 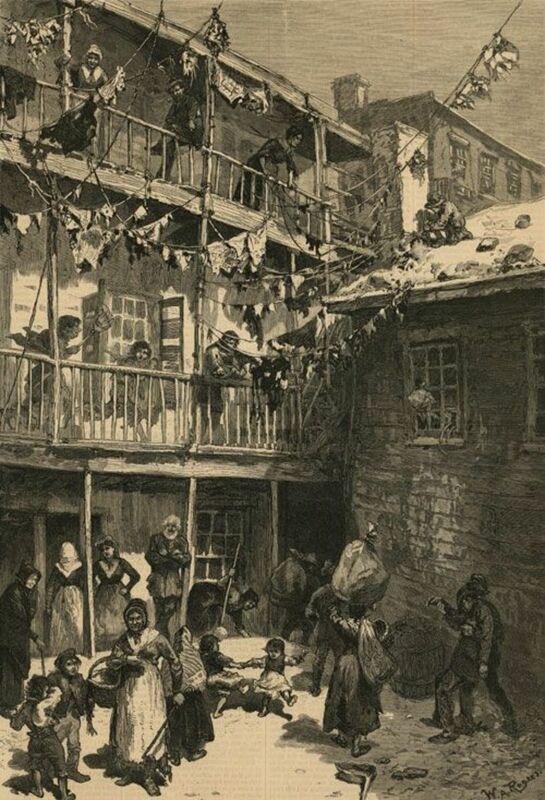 There might be more tenement windows and clotheslines crowded with a colorful motley of washing. Quite different settings - yet both scripts might only say, "windows look out onto brick walls." Before actors even open a door, the set should hint to the audience about what is coming. What would this set be like in real life? Make sure at least one set element is particular to that time, place, and way of building. Look especially at: fireplaces, stairs, windows, doors, and trim. What character "lives" in this set? Remember the character who "owns" this set - what can you add as design or set dressing that adds to their biography or psychology? Can you hint at their profession, history, or personality with the objects you choose? Which "country" is this anyway? Let's guess America. And we'll get enough of ye olde with our Venetian set, so let's make this one more modern and ski lodge-ish, just for fun. Taking the plan of our basic set, let's add that wall of bookcases upstage - filling the whole wall except for where those doors cut through. At the big window, let's add a view of a forest and a few actual trees - borrowed Christmas trees and a few cardboard carpet tubes. Maybe paint those to look like birch tree trunks? Add a little ivy peeping over the windowsill. What season is this play set in? 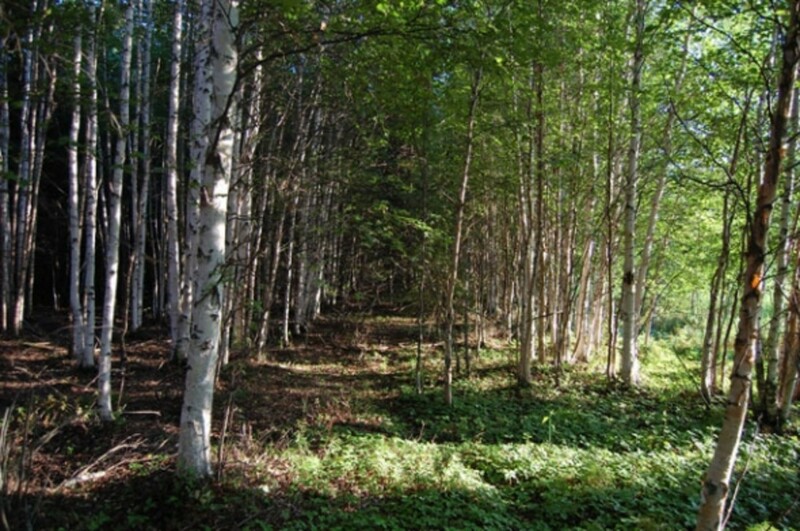 Should this be a green forest, an autumn one, or a snowy winter wood? At stage left, let's add faux stone (carved foam can be easy and cheap) and let's cover the wall from floor to ceiling, corner to door jamb - a BIG fireplace. Stick that deer head there. Just for fun, let's raise the hearth and the whole area at SL so that door enters up a step. A raised platform adds interest to the director's blocking. This time let's cut our big window SR into three beautiful Venetian arches. Upstage, let's add a raised platform so those doors both enter up a couple steps. At the fireplace, we'll add a Renaissance style carved stone "hood" over the fire. (I'll add a picture later so you know what I mean.) To enrich this room, it IS possible to add a whole ceiling, but it's technically trickier, much more expensive, and it tends to make the lighting designer cry, so let's just add ceiling beams (spaced so lights still work). We can get some of that flickering-water light on those beams with more on the walls. Outside the window the "view" flat should have windows with washing lines criss-crossing the supposed alley below. But for our tenement play - which is a farce after all! - let's add another window at the SR US corner and give it a fire escape outside which can act as another entrance. Four entrances are still skimpy for a farce, so let's keep looking for another place to enter, or at least hide an actor. Hmmm - research tells us that apartments here and now often had a bathtub in the kitchen. Let's add one: it's inherently funny; it'll be a nice obstacle for actors to clamber over; with a lid (as it usually had) the tub doubles as a table; and an actor can hide inside it! Perfect! At SL maybe there used to be a fireplace, but our characters shoved their stove there because that's where the flue is. That adds a nice touch of history and lived-in-ness to the set. PAINT! That creates magic. This outdoor set for Shakespeare Dallas was designed for "Othello" and "All's Well That Ends Well" in repertory - various bits and pieces of scenery came out and were clipped to the steel frame for each show. This view is of the "Othello" Venice location REPAINTED (cheap and fast) to turn it into an Indian forest for Junior Players' production of a Bollywood version of "A Midsummer's Night's Dream." So much fun! How? I mean, all that research and stuff looks like real work. Yes, and I don't have time. No, but I don't have time. I admit I'm a little curious about this show. Just look at old productions! Research is fun and addictive. How can I start researching? Look up the playwright and the play's place and time. Start with my own library. Prowl the library and dark corners of bookstores. So this "Truth" is it really just "Facts"? I'm an artist - I mix facts, feelings, and intuition. I'm a theater artist - facts, feelings, intuition, visual design, AND pragmatics! Clever paint is almost always the Fastest Fix for a problem and usually the cheapest too. You were just pretending to remember him - I can tell. Hie thee to Wikipedia. Go thou and Read! 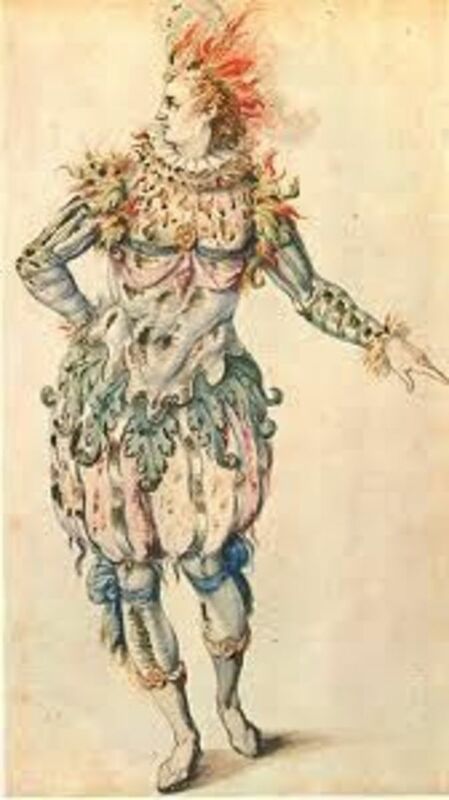 More on "The English Palladio"
A few good sources of info on staging The Bard. You DO remember Him, right? A great overview of theater from the ancient Greeks on. What the heck! Let's check out historic Greek theater too. There are modern masters too! 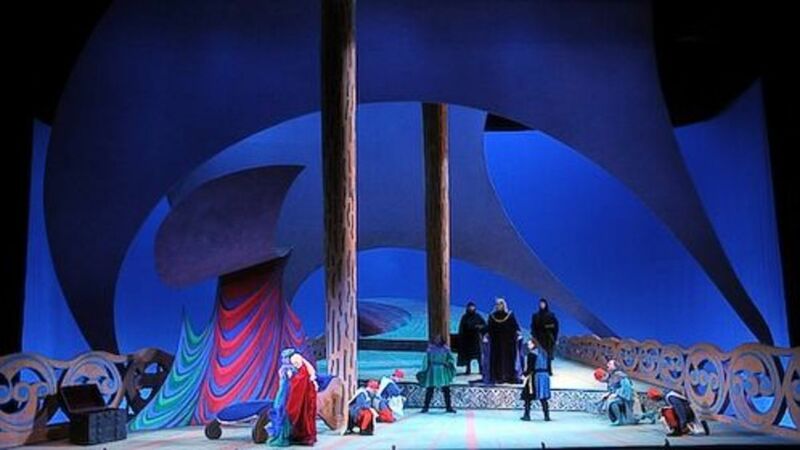 Here's an example of David Hockney's stage design (a fair-use photo, I believe, borrowed from Berkshire Review). Notice that this set is both modern-sculpture AND painterly. 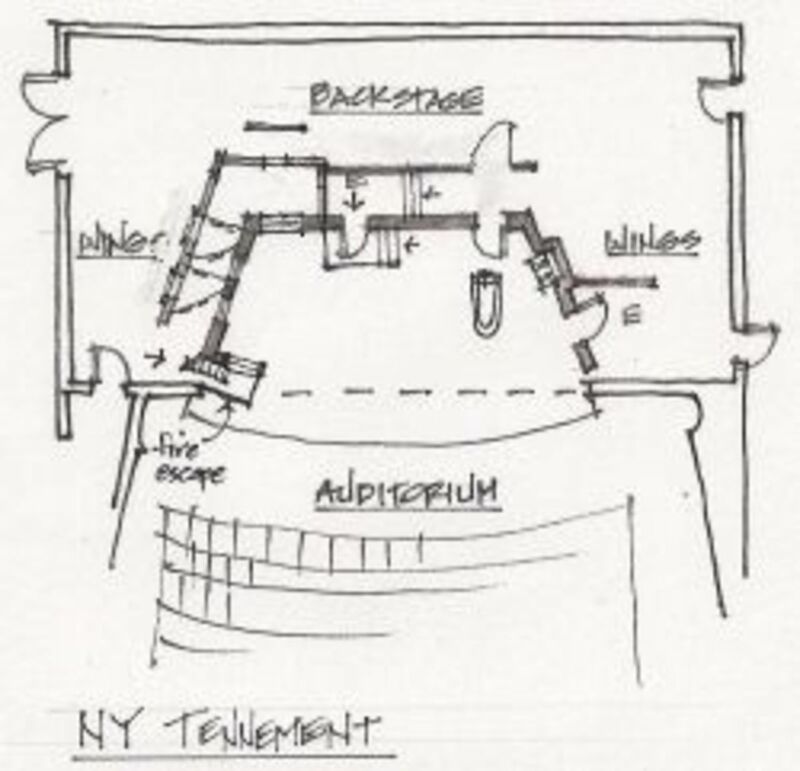 Once you understand what the play needs functionally - entrances, for instance - and emotionally - melancholy perhaps - then you work out the floor plan. Work out sight-lines and entrances. Simplify by designing around stock items as much as possible. The floor plan is CRITICAL. But it's only the bones of your design - what fleshes it out are the extra not-asked-for-in-the-script ideas you, the designer, add. Think about views outside the doors. You have to mask off backstage anyway, so do that with flats that suggest a grubby tenement hall, a grand Italian lobby, or a country mudroom filled with coats and rubber boots. What might help set the mood? Our fire escape stair outside the tenement window - is it such a good idea we should move it downstage, where it could be an acting area? Here's a sketch showing that change. An improvement! Many productions just put scrim over windows to obscure the view. But a view adds so much! 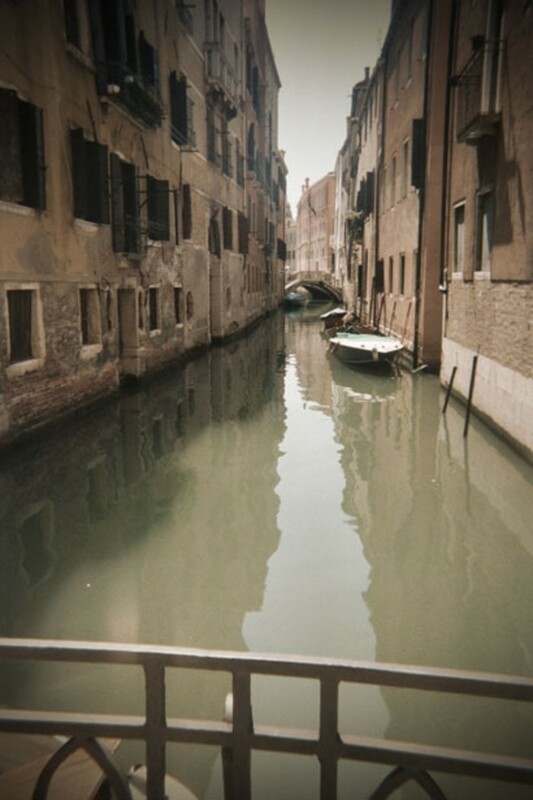 We've already decided to use views: a forest, an alley with washing lines, and a Venetian canal. Woods can be suggested by a sky cyc and borrowed Christmas trees. (Suggestion is powerful: a whole rose-covered cottage can be established by a few roses nodding outside a window - the audience will "see" the rest.) 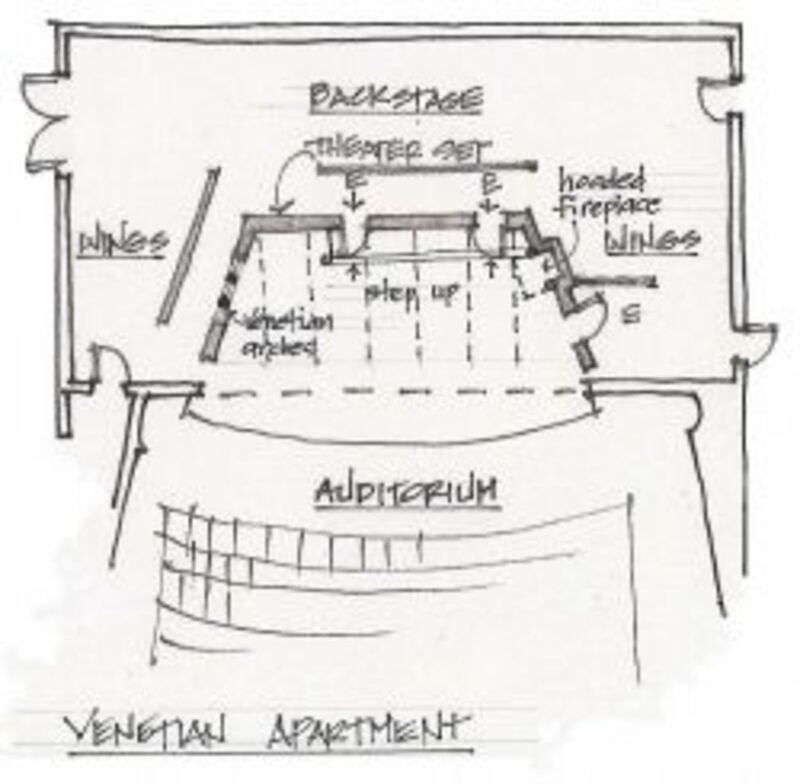 Or you can literally build the view, as with our tenement's alley. Or you can go wild and show more than expected. What if we crumbled away some of our Venetian apartment's walls to show much more canal and historic neighboring palazzos? What other extras can the designer add - simply? Among these possible "extras," always consider whether you can or should add levels. Changes in level make the set more interesting in its own right, but also allow - encourage! - the director to create more interesting blocking. In any play with crowded scenes either multiple levels or a rake are the best ways to have all the actors visible. One note though, in MUSICAL THEATER, dancers will trip over steps and singers will waste breath climbing stairs, so make any levels low and their edges and steps clear. Here's our Venetian set - now crumbled by age and decay and thus giving the audience a much better view of picturesque canal and historic, beautiful (and damp!) Venice. Imagine how atmospheric it could be! How it could illustrate the lonely decay of the main character. With this change to a non-literal set, we can better suggest the play's subtext. Add a view beyond every door. Sure only some of the audience will glimpse it, but it adds reality, adds interest, and proves your theater group is serious - CARES to go the extra mile. Consider window views. You can do a lot of story-telling there. Drawings at different design stages will be of different types. In early design you produce loose sketches or rough models. Later you make more controlled and complete sketches for approval by the director and distribution at the Production Meeting. These schematic design drawings are called renderings or presentation drawings - drawings or models that show not just the facts of your design but, as much as possible, the feeling. 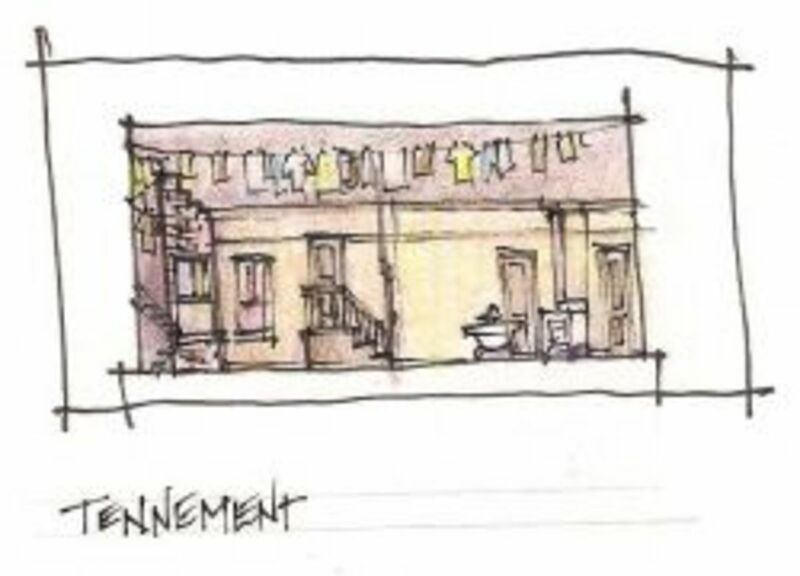 Painted renderings are traditional and wonderfully evocative, but any art medium can work. Personally I find ink drawings with colored pencil flexible in effect, faster, and easier to correct. (There are examples in this Lens.) You'll find your own favorite art media and methods. Models are perhaps the best way of all. But I don't want to add scope! I have enough to do already! Why do I want to add more work? 'Cause it make my theater company look good - we do more than the minimum. 'Cause it's fun. I can add in jokes or clues for attentive audience members. 'Cause it makes the play's world more complete. Does it have to be much more work? Nah, paint the masking flat sky blue not black. Big deal. It depends - will you help carry furniture? Nah, I got the perfect art for that spot in my garage already. By more "Scope" - do you mean think big? Right out into the lobby if possible. Can I theme the food at Opening? Staedtler pigment liners are, as far as I'm concerned, the ONLY drafting pens worth buying. There are others made with the same idea - pens with fiber tips in carefully graduated sizes so that you can reliably draw thick or thin or thinnest lines. Just right for drafting. I like them for sketching too. But the reason I prefer the Staedtler brand is the ink: lovely, truly black, indelible India ink that flows at just the right rate off the pen's tip. (When I'm forced to buy and use another brand I sulk. Really. It's not pretty.) The most useful sizes for me are 0.1, 0.3, and 0.5... occasionally 0.7 when I'll feeling extra bold. The "Midsummer Night's" sketch above was done using Staedtler pigment liners and colored pencils on white tracing paper. The "Look Homeward Angel" sketch at the beginning of this Lens used the same pens and pencils on yellow trace. The basics for expressing your designs on paper. I like this small drafting board - there are several sizes though to suit your needs. And here's my fav drawing paper. At architecture school we called this "trash-paper" - mostly because so much of it ended up in the trash as we designed. Love the stuff! It's single greatest (and most obvious) advantage is that it's translucent - you can see through it to trace what's underneath. A HUGE time saver. But it's also a tough, cheap (sorta) paper with a smooth surface that takes both ink and pencil pretty well. As a bonus, it also stands up surprisingly well to the wear and tear of working with it and storage. If desperately crinkled it can even be lightly ironed. I prefer to use the yellow paper for early design and colored sketches - yellow makes a good not-so-blank-looking background. White I use for construction drawings or particular sketches. 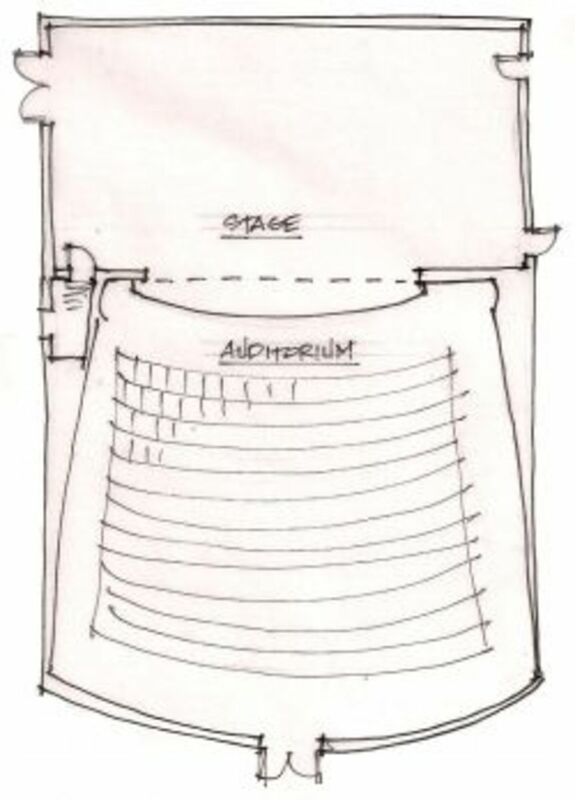 There are lots of ways to explain your design idea to the set builders - but mainly two: hand-drafting or computer drafting. 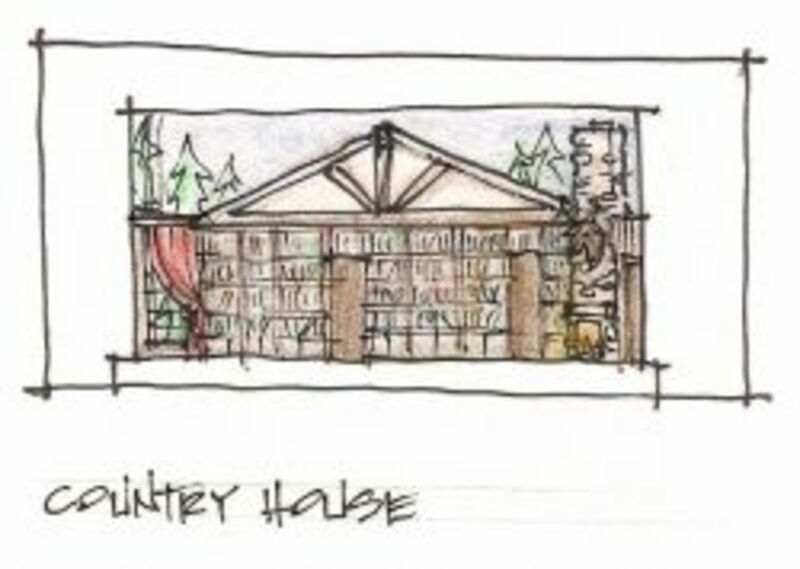 Here's a rough thumbnail sketch of our Country House. In sketching it, it became obvious that - of course! - it had to have a great timber roof truss. I imagine a lot more detail - crumbling stone, flaking plaster, old gilding - than this tiny sketch can show, but you get the idea. Again, this thumbnail only hints at the detail and liveliness of the final set, but you get the general idea. Tiny thumbnail sketches can be a very useful (and fast) way to explain to a director or producer what you have in mind. With these rough plans and elevations, we've created the Schematic Design for three imaginary shows. Now that we have ideas, we'll develop them further through the Design Development and Construction Drawing phases. Poll - What's the Use of a Set? All this thinking and physical labor! Why is a set worth it? Why is it important? What's the main reason to have a set? To make an interesting background for the actors. To explain the time and place of the action. To give clues to these characters, situations, and emotions. To reinforce themes and subtext. Heck - ALL that stuff. Can any theater (however poor) have a good set? Sure, if the design is clever enough. Can I improve my next theater set? You read this didn't you? Relax - this design is only for [fill in the blank] theater. Sure, just take a little more time and thought. Sure, just hire Ming Cho Lee. Improve my skills, research, take a little more thought, and have a little more fun. Here's one photo that (darkly!) illustrates some of these points. In the script, the setting for "Crimes of the Heart" is described as a kitchen/sitting room and the period (if I remember right) is the early '80s. That's not a lot for a designer to go on. The director and I made a decision NOT to open up outside views (as I normally would) because one character is effectively house-bound. So the kitchen window is small. It and the kitchen door look out to a cluttered screen porch - see its vines peeking over the top of the wall? Other doors open to tight spaces like pantries to slightly increase the claustrophobia. But we decided to show history - as a sort of entry hall, where we put the cot mentioned in the script. This stair hall was part of the "old" house, a grand Southern family house, with the kitchen/family room newer in detail and design, as if it had been enlarged in the late '60s. I imagine the old house off to SL. See it? Out front it's got tall white pillars, Victorian but very Southern, and you know that from the audience because the hall has rather grand moldings, column, and chandelier. Even the door has a transom (a great way to add importance to a stock door). Notice the start of a stair in that hall at stage left - a way to get some 3D blocking going. All this helped tell the story better, but pragmatically it also let us use mixed-age appliances, which we already had, and created a set both tall enough to look important and rambling enough to fill this very wide stage. To match this, the furniture is an assortment of antiques and newer pieces, as if gathered by the whole family over many years. Details made sure the audience understood the present time: my favorite was the macreme' plant hanger at the sink. For a show about family history it seemed right to have a set that showed family history. Theatre professor Sandra Goldmark of Barnard, on designing a set for The Boys in the Band in a non-traditional space, a loft. Let's define "pro" in the simplest way - some theater pays you to design. Has this happened to you yet? Lots of good work done for love alone OR for pay. Pick your team! Which reality is the one you live in? ALICE also includes: a fast illustrated romp through style history; lists of helpful tools, materials, and books; a glossary; plus sometimes life-saving advice like how to paint with a gorilla. Or how to deal with critics (more dangerous than mere gorillas). Remember back earlier, how we talked about the engineering guideline K.I.S.S. or "Keep It Simple Stupid"? Well, sometimes it seems like you can't. For Mark Twain's farce "Is He Dead?" the scene changes from a poor artist's studio in the countryside of France to his rich Parisian salon. During intermission. In 15 minutes. 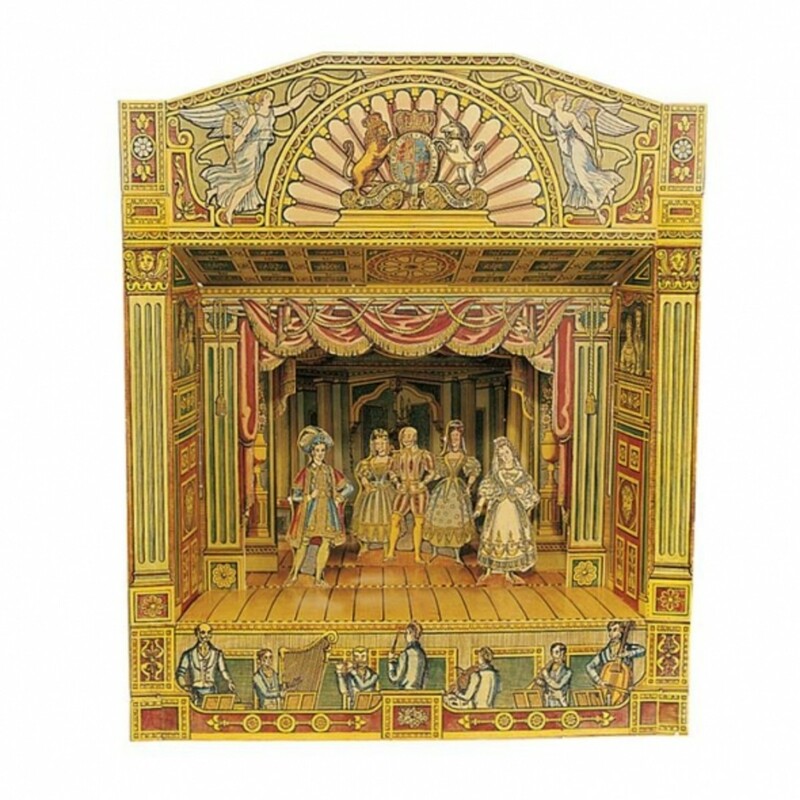 Just had this recommended to me and it's too beautiful not to feature: Pollock's Toy Shop is selling reproductions of Gorgeous! Victorian model theaters. And even an iPhone app. This Lens was honored with a Purple Star Award when I was just a new little Squidling... Though I was thrilled and grateful, I was such a newbie I didn't yet realize how big an honor this was. I do now! Thank you Squids for this vote of confidence. I appreciate it! 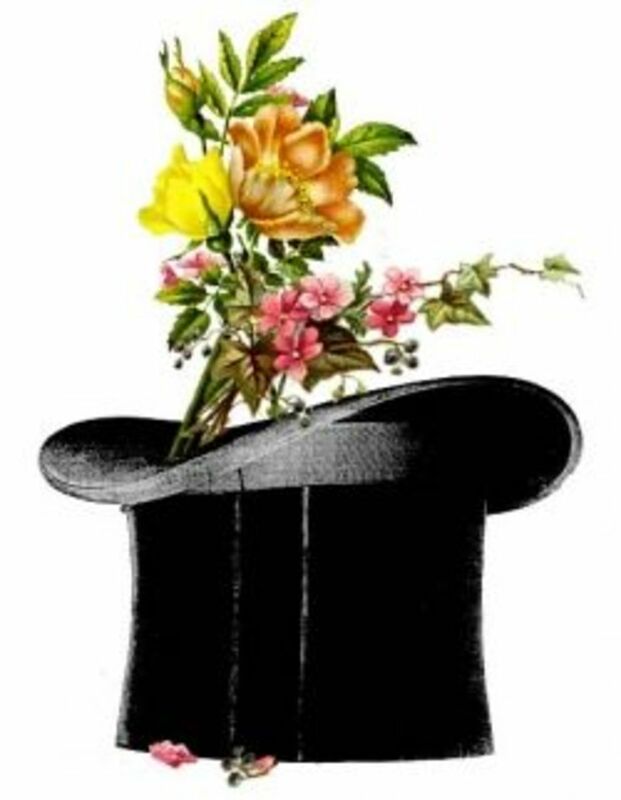 A Tip o' the Hat! Throw a bouquet! Please click one or both of the "LIKE" buttons below. One button for Squdoo-ers. (Want to join? Free. Fun. Potentially profitable.) One button for Facebook. Spread the word! Tell yer buddies! Comments? - I'd love input! @goldenecho: Ahhh.... reality! I kinda enjoy sets that have to cope with restrictions like that, much more fun to design than for some bland proscenium space. But, having said that, sometimes you really do wish you could cover up a thing or two! Break a leg. Love it! Really helpful advice even though I'm coming from an odd "set design" parameter--Vacation Bible School, where the "set" is practically the whole church (no way to "cover-up" everything that doesn't fit on our budget), and a lot of our set will be handled and touched by 5-12 year olds. Makes for some interesting compromises. @DeborahDian: Thanks! Glad you liked it. @pmdietrich: Thanks! I love the painting and dressing... but today I'm tired... Must. Put. Feet. Up. I love that you do a lot of the scenic painting and set dressing yourself. Often with small companies there's no one else to do it ( the way you envision it!) be safe on the lift, cheers! Best of, I mean, "break a leg" with your own sets. It IS a ton of fun. (I tell myself this as I get ready to go up a lift to paint a scenic chimney today. Why did I design this so taaallll?) Please do visit again - I'd be very interested in your further comments. What do you see as big scenic issues? Just found this! What a great distillation of the process of set design for the beginner and experienced. Before my next set, I'll be going over this again. Also found your designer notes on your website to be very interesting. Thank you! @favored: Oh I KNOW most of the audience doesn't realize... I didn't myself until I got involved. A lot of work - and a lot of fun! Thanks for visiting. Good info for set design. I doubt most people realize all that goes into the production before it ever goes public. @NibsyNell: Thanks! And thanks for visiting. A lens very well done! Thanks for the great info! Wow... you've really covered a lot here! This is a great resource for anyone studying design/theatre. @uneasywriter lm: Thank you! And thanks for visiting. @JeffGilbert: Thank you! And thanks for visiting. @captainj88: So glad if this was helpful! There's actually a lot you can do as a set for little money... especially for classics or other shows where you don't have to be strictly realistic. You can create great effects with sheets and light or cardboard or... well, scrounged stuff! Break a leg with your shows. I lead a group of teens at a summer camp for a one-week performing arts camp where they write their own script, cast, memorize, block, design their own sets, costumes and props, and perform for the public in five days. Set design has always been our weakest part because of the small budget we have to work with (the whole thing is funded by the camper's registration fee, which also covers their room, food and paid camp staff). I got some great ideas churning in my head for next year, thanks! Definitely Purple Star worthy - I loved visiting and am belittled by leaving my mere blessings - the most I can offer. @mihgasper: Thanks so much for your visits and comments! What a fantastic lens! Bravo! 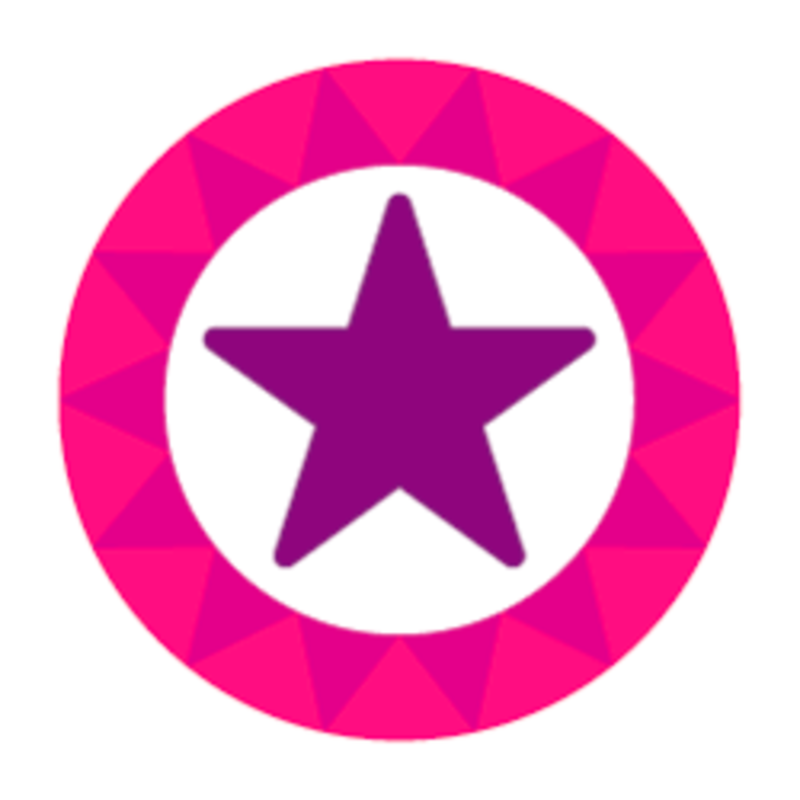 Great lens, good job on it and the content as well as winning a purple star! @chezchazz: Thank you so much! I did get a little carried away :) This stuff is fun! And fun to share. 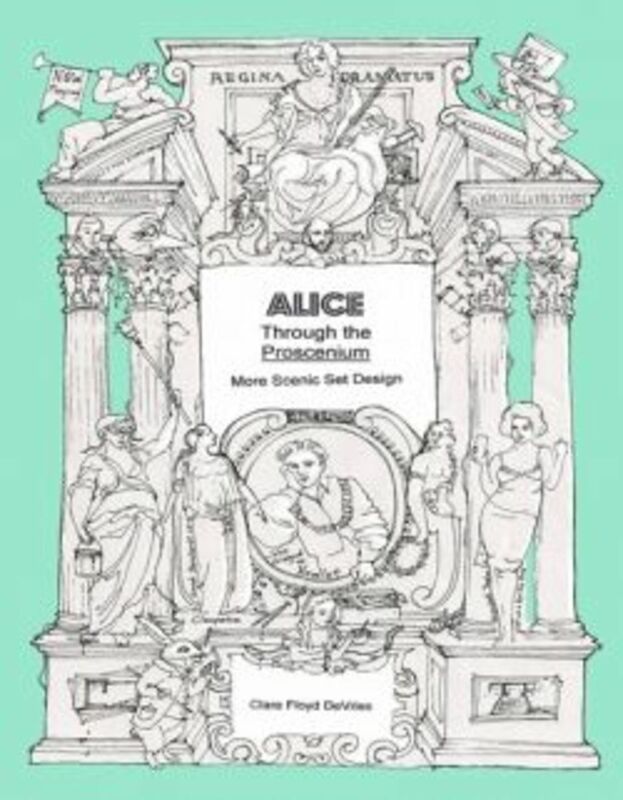 But the real Set Design 101 is my book Alice Through the Proscenium (there's a link on the page), for anyone who is seriously interested. This is an incredible lens -- more like set design 101 than a squidoo page. Phenomenal. Blessed and featured on "Wing-ing it on Squidoo"--my collection of the best pages I've found since donning my wings. @dellgirl: Thanks and thanks for visiting! Very interesting lens, lots of good to know information. I enjoyed it. @fugeecat lm: That's EXACTLY how I started. I enjoyed watching sets without thinking about 'em. Then one day I realized some designer was having a ton of fun... and now here I am! Completely hooked. This was really interesting to read. I don't know much about set design and I really hadn't thought much about it before I read this lens. enjoyed this, thank you indeed! @agoofyidea: You're right - a set doesn't need to be elaborate. Nothing is as powerful as the audience's imaginations! Setting is necessary, but sometimes the audiences imagination can be engaged and turn your simple set into something elaborate just by you introducing an idea. Great lens. @flosblog: Thanks for visiting! One of the interesting things about design is that you can usually improve it... there are few "perfect" sets... but then again, all you need is what works! @Heatherseesthel: It IS a really fun job (most days anyway) and a fascinating one. Thanks for visiting! I love the illustrations and videos! So many creative ideas in this lens--make me want to put on a play right now! :) What an interesting job you must have, cdevries! If you get interested, your local high school or community theater always needs volunteers... and it's a fun group of people to get to know. Just buying a ticket to a show is a help! @Vivek Bhan: Thanks! Glad you came to visit. It was so generous of you to visit my lens, it really motivated me to write more lenses. Your lens is simply awesome. Wish i can contribute such lenses in times to come. @tajo: Thanks for the comment. Seriously, I don't think budget is that big a problem in creating a good set: it's more a mater of effort, imagination... and often luck! This is a great lens! I do solo stage work and I know that setting the scene is the most important thing you can do to engage the audience, and often that means having a set or props. But I pity the amateur director whose actors now understand a little more about set design. On the other hand, any time you can improve the set even on a budget the better. @joanhall: Thanks! It's an awful lot of fun. I don't know anything about theater, but it's always cool to see someone who really knows their field. Great work on this lens. @anonymous: Stage Managers - gotta love 'em! I'm looking forward to doing a panto myself this Christmas. So glad you found this interesting, thanks for visiting. Learned a lot about scenery! Nice lens. A beautifully written lens on a subject that you have great knowledge of - perfect mixture, Angel Blessed. @John Dyhouse: That's kinda how I felt about yours - a glimpse into a different world, welcomed and kindly explained to! Thanks for visiting. Congratulations on a superlative lens. I know absolutely nothing about set design, however the content was completely comprehensive and extremely interesting. I'm definitely a new fan! @Mistalina: Thanks! I'm tweaking it as I type. Appreciate your visit! Excellent lens. Thank you for sharing your knowledge! @Paul Ward: Yes! A theater goer! Glad you found it interesting. @RecipeSquid: Glad you thought it was worth visiting - thanks for the kind words! I can see that you've put in a lot of effort in this lense and the outcome shows. 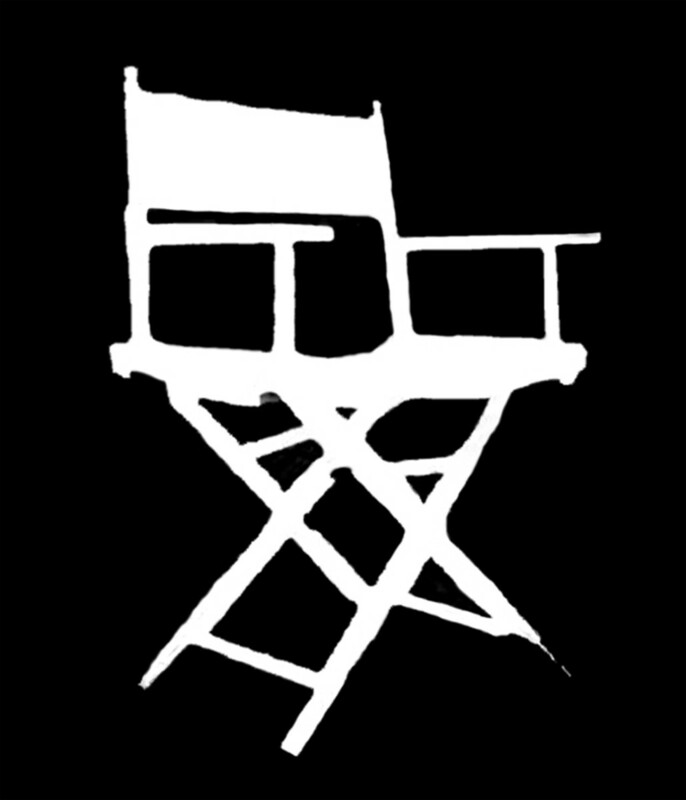 It an amazing resource on theatre sets and I really enjoyed your lens! 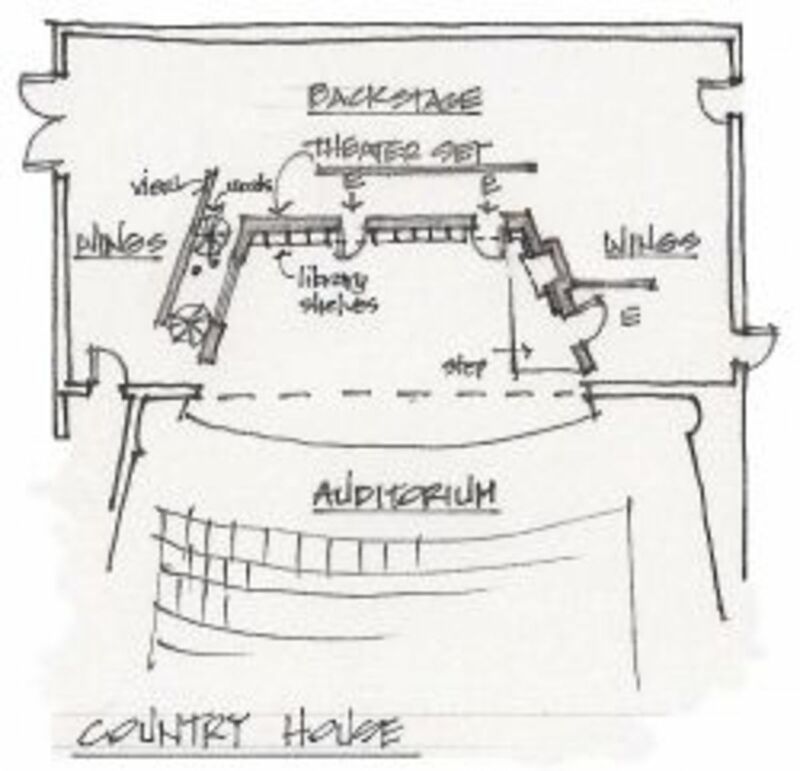 Speaking as a theatregoer, excellent page on design of theatre sets. @Trendblazers: So nice to get a theater-folk visitor. Thanks! Glad you think it's useful. Wow, what jam packed, loaded to the rafters lens. I'm doing my masters in Drama and theatre studies, so when I saw this on squidu.com, my interest was piqued. I think that this is a very info rich lens, with loads of great ideas. You clearly live and breathe life into each of yout beautiful sets. I paticuarly enjoyed the new york tenement. Keep on trucking. @puerdycat lm: Thanks! Very glad you liked it. Gee, this is just gr-reat! a page-turner! and I loved your resources. Got me with little floor plans, the ideas behind the scenes, the way to the poem so to speak, oh, and the research has such a life of it's own--"kin" to genealogy background. Last but not least, you lay out a darn attractive page. Lensrolling to my Ancient Embroidery Patterns. @sandralynnsparks: Thanks! 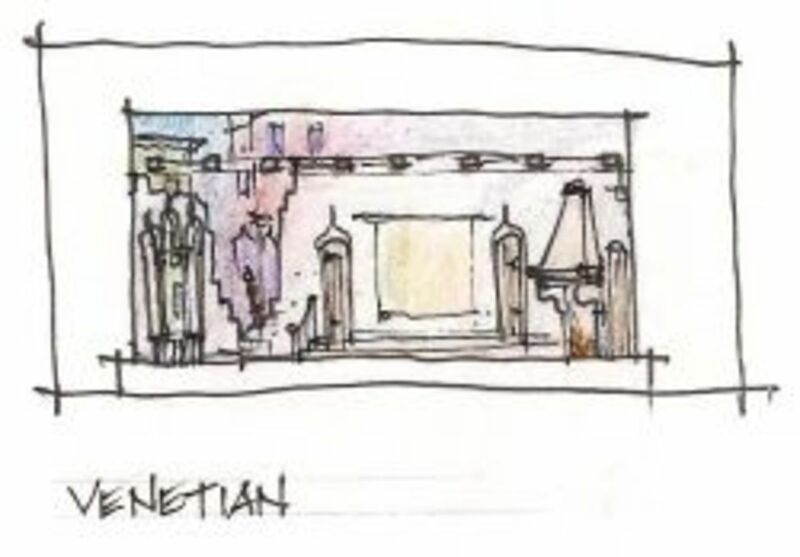 I sketched everything except the Venetian arches, which are by John Ruskin. More drawings to come... as i get time. Thanks for visiting! More than a good start! :D I love the illustrations most of all!